Golden Seeds, an investment firm that provides capital to women-led businesses. These businesses are wonderful and the philanthropic spirit helps a lot. However, it's sadly a small portion of women who actually receive not just the grant but also the opportunity itself. Grants from businesses like this requires strenuous writing(especially when small business are writing multiple grants at a time) and a lot of valuable time to be written and then have a slim chance of being picked. Of course Golden Seeds is a good thing but it is ineffective of a larger scale. The NIAH provides details on the school building and a photograph. 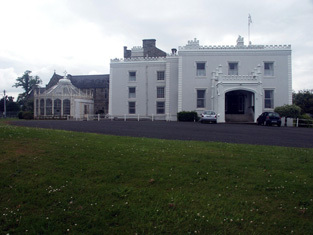 The NIAH provides details of the convent building, at Vevay Road, Bray, County Wicklow, inventory no. 16301051. 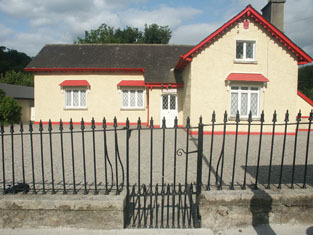 The site includes a photograph of the school building which housed the school from 1932. This work was in schools with teachers, right? When foundations and funders of after school programs ask about how to "spread and scale" the work, it baffles me that they don't begin to answer their questions by turning to how to effectively bring the innovative after school work to teachers and students in schools. Working on the connections between in school and out of school learning is important! Do you even need teachers in this system? Perhaps we will call them concierges and pay them like Trump would pay his hotel and casino workers. You would certainly need more of them under any kind of coaching, mentoring regime. This is the difference between these two products. The agency is direct with Google. I use Google Classroom. Here it is flipped. Facebook uses you and your inputs to filter out--what? Is there any proof that what FB filters is connected well with the incredibly complexity of learner curiosity and passion. I can only say that Zuckerberg and his minions must have poured over Skinner's pigeon experiments because now he is giving us all the bird. The idea is to encourage students to develop skills, like resourcefulness and time management, that might help them succeed in college. I am assuming that there is strong data that establishes a strong correlation between this LMS and resourcefulness-timemanagement-college success? How many acts of faith can dance on the head of a pin? How can they say student-directed. It's a Facebook algorithm. Which student-teacher relationship? It is not monolithic. The power relationship? The sharing relationship? Or the whole relationship? When they are done will there be teachers anymore? If it can be done by a robot algorithm then is should be done by a robot algorithm? Craig doesn’t think elite schools need to worry; their degrees will still be used by employers as a sign of quality. Five years after I started teaching, and a couple of years into our work at University Heights Secondary School where we were inspired with the Coalition of Essential Schools to re-think school from the bottom up -- and in our case for African-American and Latino students in the Bronx. Sometimes this takes weeks or even months. I remember taking a walk with an art teacher several years ago, and I asked him how a particular student was doing in his class, and specifically what he was working on because it was hard for me to figure out how to get him connected to my work in English. It was November, just before Thanksgiving, and my colleague said, "I haven't figured out what his project will be yet," he said, before going on to explain a couple of things he had tried without success. I was struck with how patient he was being in letting the project come to the student, and not forcing him into a prescribed curriculum. Waiting is so hard, yet the work produced once there is a "flow" for a student makes it worth the wait. This has strong implications for school structures however! We need to be with students for longer periods of time. It also has implications for how groups work together. Perhaps a student who hasn't found his/her project yet can help others? How could they send us out into the streets of Baltimore, knowing all that they were, and then speak of nonviolence? Or Restorative Justice these days, I suppose. Yeah, there's something going on here. I need to just listen more.